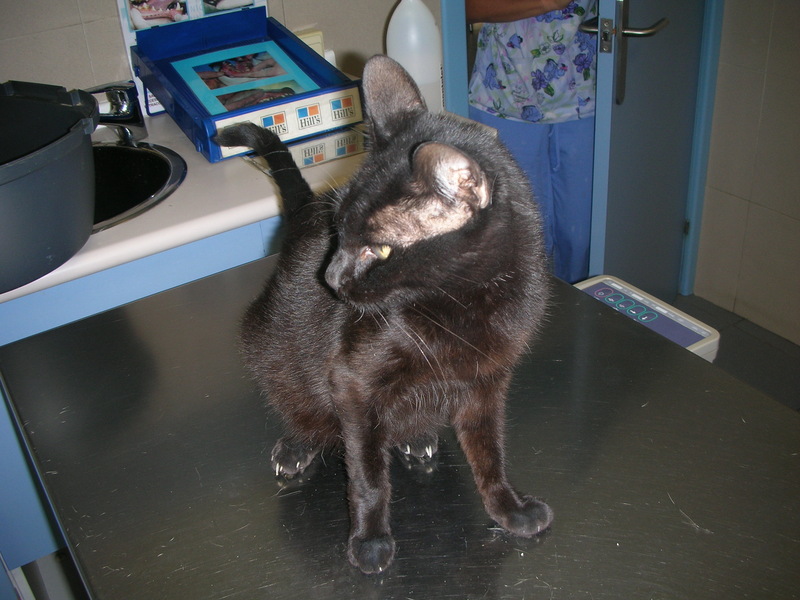 FIP or Feline infectious peritonitis: a terrible disease. Coronavirus, surrounded by proteins, it seems a king crown. This virus can affect several species of animals. Like the cat, the dog, pigs, poultry, … Initially, in the cat Coronavirus produces a mild, transient diarrhea, that is autolimitant, and often not detected. 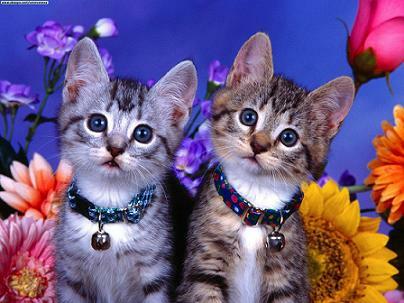 Under normal conditions, the cat affected by Coronavirus improves and recover totally. The virus is activelly sheding by the feces, and the transmission is feco-oral. The danger of this virus, is that it can mutate occasionally, is that mutation that could produce serious illness in the cat. Mutation means that, genomic structe changes, and “become another virus”. This mutation produces a more agressive and deadly virus. 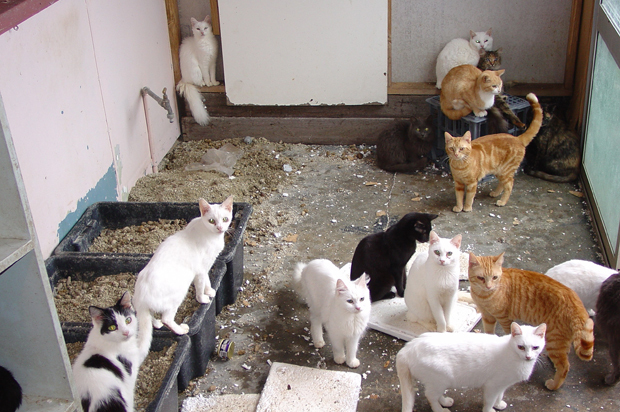 This is much more likely to occur when is crowded lots of cats, like in shelter cats. If a virus get out of a cat, and enter in another, and this repeats several times, there comes a time when it mutates. 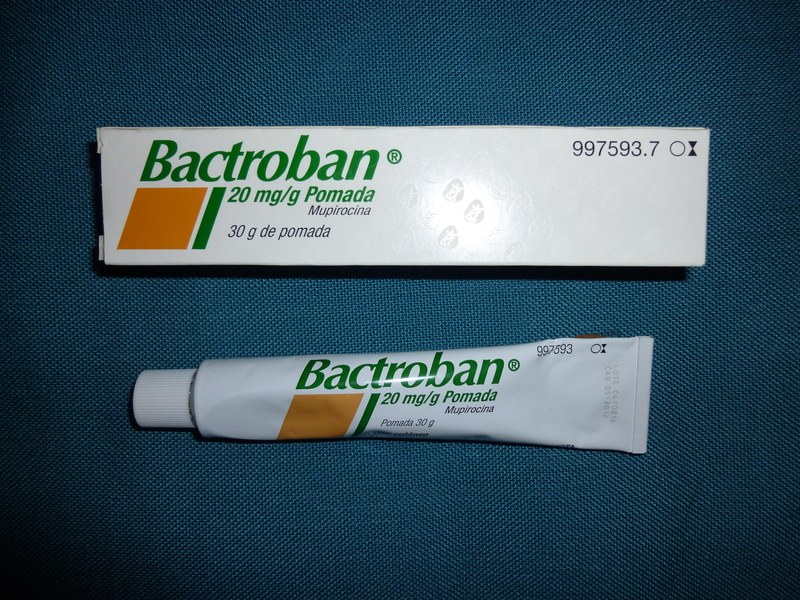 While benign Coronavirus only produces mild, autolimitant diarrhea. 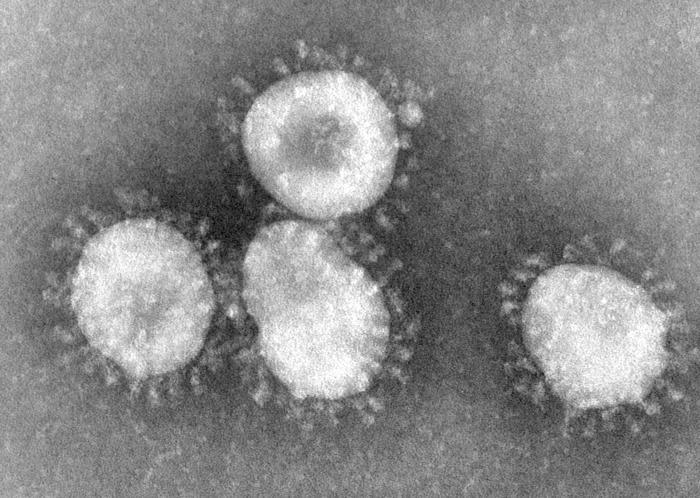 The mutated agressive form of Coronavirus, produces a wide range of signs, and a high percentage produces death (almost 97%). This kind of signs that produces mutated Coronavirus are called FIP o Feline Infectious Peritonitis. In fact, there are only a few cases that a cat survives to this kind of infection. The pathology is extremely complicated, but is really summarizing much of the body’s reaction to the virus which causes lesions of the disease, not the virus itself. This is Gorila. Gorila is a male cat that lives outside, it is an street cat. He comes to our hospital, very thin, anemic, with little hunger and with swollen abdomen. We detect that Gorila had free fluid in the abdomen. Decided to take a sample of this fluid for analysis. We also performed complete blood count, biochemistry panel and Coronavirus titers in blood. After doing this, we conclude that Gorila had FIP in his wet form. We classify FIP in two forms, dry form and wet form. Wet form of FIP causes accumulation fo fluid in body cavities, such the abdomen or chest. The dry form doesn’t. Other clinical signs are common in both forms. High and discontinuos fever are characteristic of this disease. Inflammation inside the eye, or uveitis, chronic weight loss, anorexia .. FIP attacks mainly young cats less than one year and a half. The main laboratory findings of FIP are, anemia, high plasma proteins, very low lymphocytes in perypheral blood. 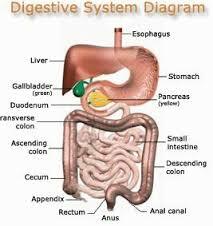 The dry form of FIP are very difficult to diagnose, because it resembles many other diseases. Hence , to diagnose FIP, mainly dry form, we must encompass all clinical signs, laboratory data, and others. 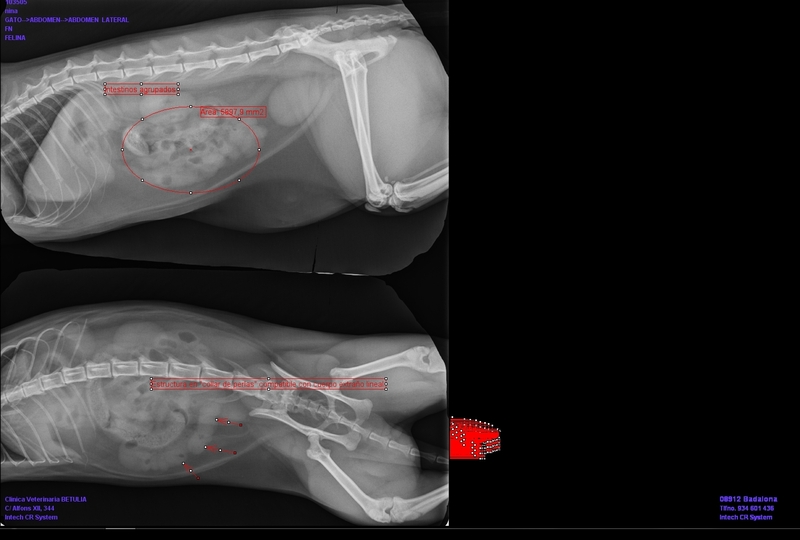 Moreover, the wet form of FIP is very easy to diagnose, as the liquid that we obtain has very characteristic properties, it is a nondegenerate inflamatory exudate. In our hospital, we performed an inhouse test that confirms the disease. We perform this test, with the fluid that we obtain in cats with wet FIP. It is called Rivalta’s test. 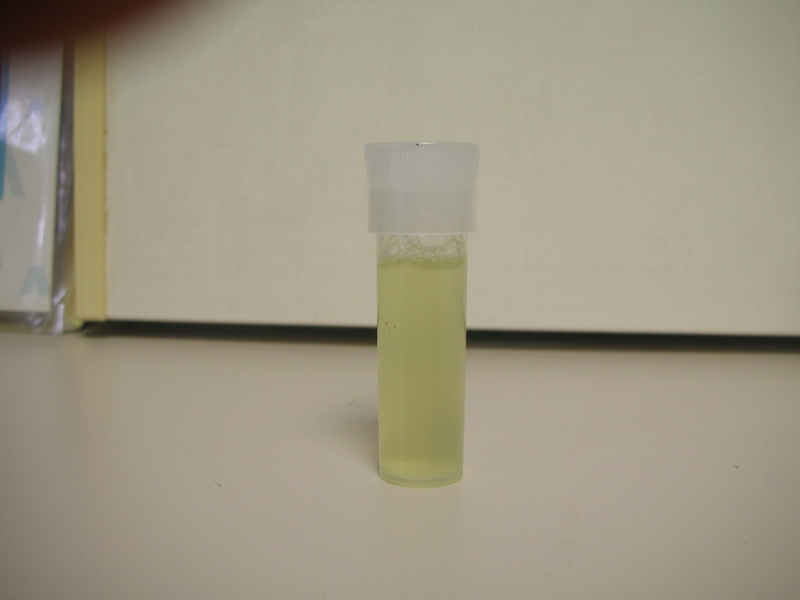 It is a test that is performed, by placing a drop of the suspected FIP fluid in a sollution of distilled water with pure acetic acid (vinegar at 98% pure). 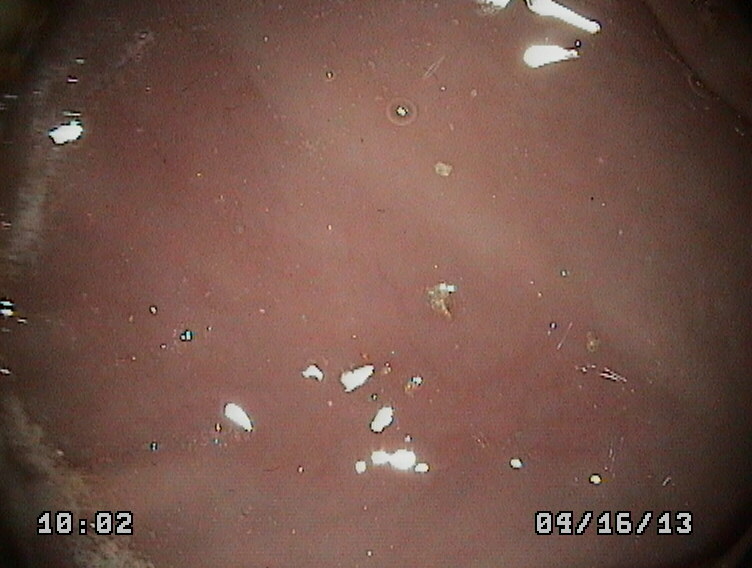 If after placing the drop, this becomes a sort of “mucus” the result is positive and the result is FIP positive. If after setting the drop, the solution is diluted and disappears FIP is negative. This is a video, that how we perform this test. The treatment is to immunosuppress, or to inhibit the immune response which is what actually causes the PIF. The problem is that very often not satisfactory. Thanks at all, and hope you enjoyed.Pedro Carracedo.